Kitchens that are more convenient, more beautiful, practical and apparently simple but with elaborate solutions hidden inside: corner cabinets with rotating shelves, telescoping power outlets, LED lights… In general, these are the biggest trends in kitchen design. And if we’re talking about simplicity, the GOLA profile system is the mysterious star product. Why mysterious? 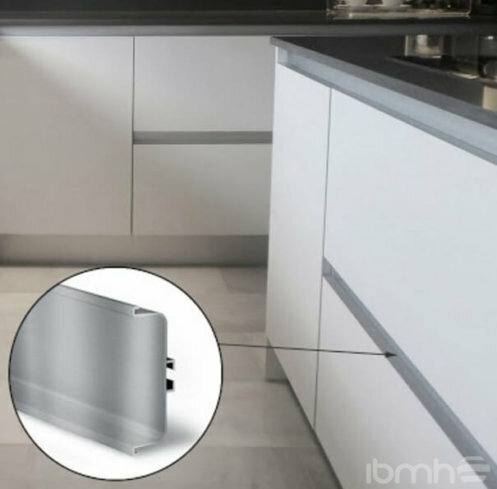 Because it allows cabinet doors or drawers to be opened without handles or knobs. They are hidden but easily-accessible profile pulls. 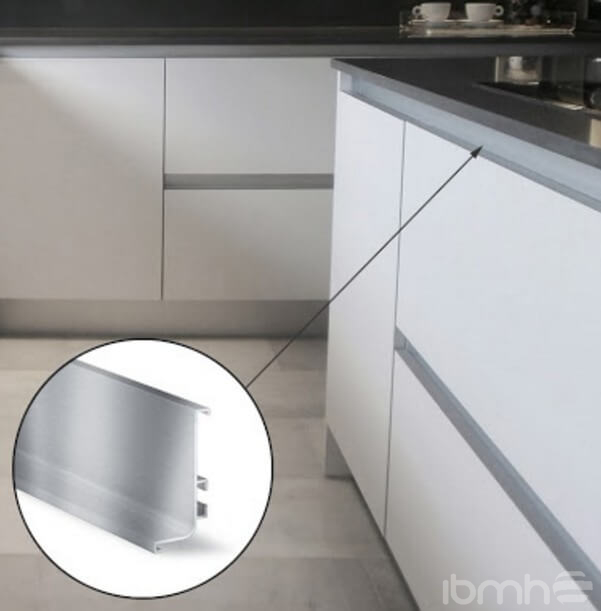 Right now, this type of pull is one of the most-used by kitchen cabinet manufacturers. The minimalist style never goes out of fashion, and it’s even a growing trendthese days. This style is defined by its clean, simple aesthetic with straight lines and, most of all, the feeling of openness and spaciousness it creates. 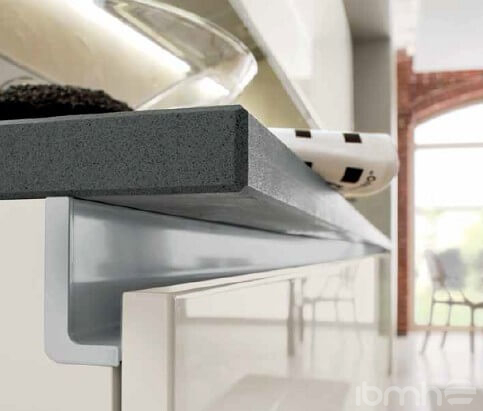 The GOLA profile system is a must-have in any minimalist or contemporary kitchen. • This anodized aluminumhardware must be made with the highest quality raw materials. • Anodizationprotects the aluminum from abrasion and corrosion. It also allows it to be stained in a variety of colors and makes it possible to achieve numerous finishes. The most commercially popular are matte and shiny anodized aluminum, although it can be manufactured with any other surface finish. • In China, you’ll find many aluminum suppliersthat produce these profile pulls. But very few are able to achieve the true desired finish that is necessary for good sales. IBMH has an expansive database of local factories which we have personally verified and which meet our strict quality standards. •The two bestselling profilesare the “U” and “J” profiles, so named because of their shape when viewed from one side. For connectors and accessories, we recommend buying in zamak, although they are also made in aluminum. • Installing the profiles is very simple. All you have to do is make a longitudinal groove in the wood with a cutting disc. Then, simply inset the profiles and press into place! In short, what does the novel Gola profile system have to offer? • Cabinets and drawers with hidden pulls. • Pleasant simplicity and maximum performance. • A booming trend in the kitchen design market. Ready to add this product to your catalogue? What are you waiting for? Import from China with maximum quality and safety and complete support from us. 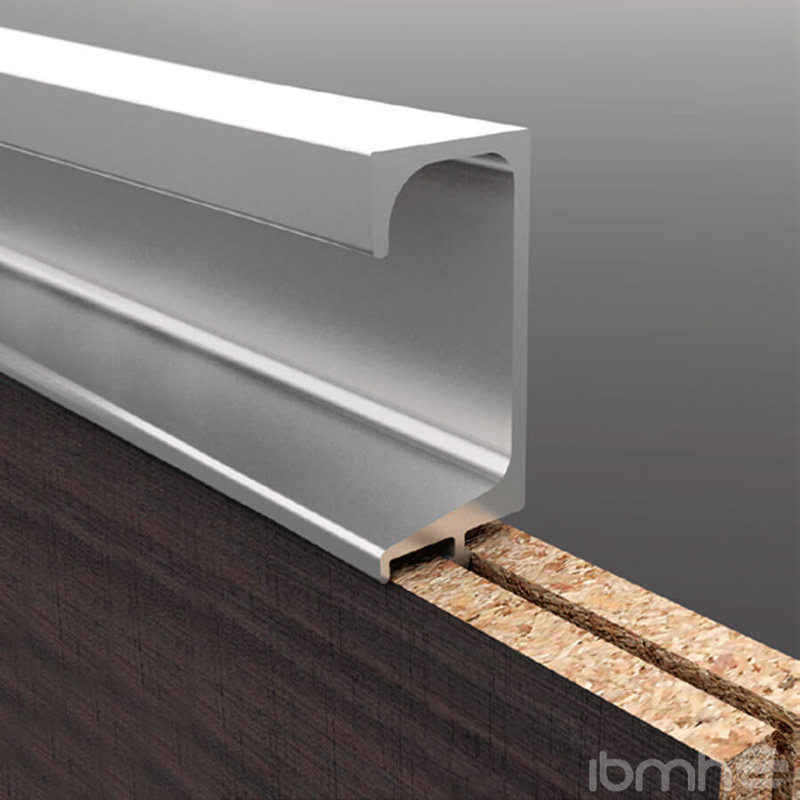 See for yourself the benefits of having IBMH manage your construction and furniture hardware.